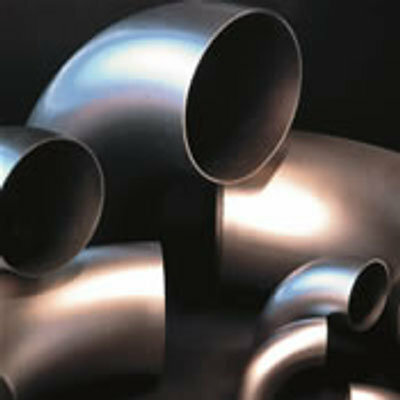 Offering you a complete choice of products which include socket weld elbow and buttweld elbow. We are engaged in manufacturing 45 Deg,90 Deg ,180 Deg Socket Weld Elbow, Designed in line with international quality standards, our range is categorized into SR (Short Radius) elbows and LR (Long Radius) elbows. The SR (Short Radius) elbow (with a center-to-face dimension of 1.0 X diameter) is mainly used in tight areas where clearance is required. Our LR (Long Radius) elbows have center-to-face dimension of 1.5 X diameter and used when space is available and flow is more critical. 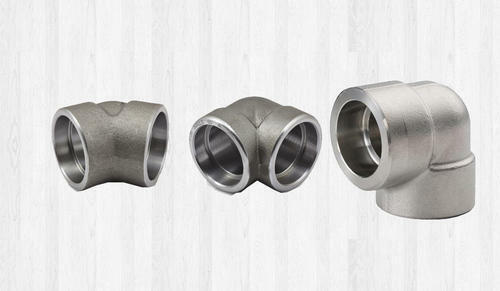 The elbow fitting is generally used to change the direction in piping and is also known as "quarter bend". we are the leading exporter and suppliers of Buttweld Elbows from india.these buttweld elbows are available in 45 degree,90 degree and 180 degree .these elbows are widely used in oil and gas,paper,chemical,pharma,sugar industries etc.